Q+A: Artists, Israel, and BDS: To play or not to play? Earlier this year, New Zealand popstar Lorde became the latest in a long line of artists to pull out of shows in Israel. This came after pressure from the Boycott, Divestment, and Sanctions (BDS) movement, including two New Zealand activists who called on the singer to change her mind about playing in the country. The activists were later ordered to pay $12,000 by an Israeli court under a 2011 ‘anti-boycott’ law. Sam Smith spoke with Mark LeVine about the impact of BDS and the ongoing issue facing musicians on whether or not they should perform in Israel. Mark LeVine is a Professor of Modern Middle Eastern History at the University of California, Irvine. He is the author of Heavy Metal Islam: Rock, Resistance, and the Struggle for the Soul of Islam. I guess a good place to start would be to ask how the BDS movement developed? The BDS movement in my understanding really emerged out of the failure of other aspects of the non-violent movement of civil resistance against the occupation in the Occupied Territories to achieve any kind of long-lasting success. And I think what people need to understand is that for decades, Israel has specifically targeted non-violent activists in the Palestinian community for arrest, torture, deportation, etcetera. So in the context of the impossibility of engaging in any kind of civil resistance and non-violent resistance against Israel on their own, Palestinians started looking to other examples of how groups that were being oppressed used international solidarity to strengthen their position. The most immediate historical prescient was the anti-apartheid movement in South Africa. First of all because it was one of the most successful movements against colonisation and against widespread and institutionalised discrimination and also because it had only worked a few years before, so it was still very fresh and [Nelson] Mandela and the new South African system was an example of how this kind of activity could work. So it was both a reaction to the success of the brutal message used by Israel to supress any kind of non-violent resistance to the occupation and the success on the other hand of the South African model of fighting against Apartheid using international solidarity actions that were based around BDS. And what exactly is the movement’s scope and goals? There are several major components of BDS. First of all, you have to understand what each means. 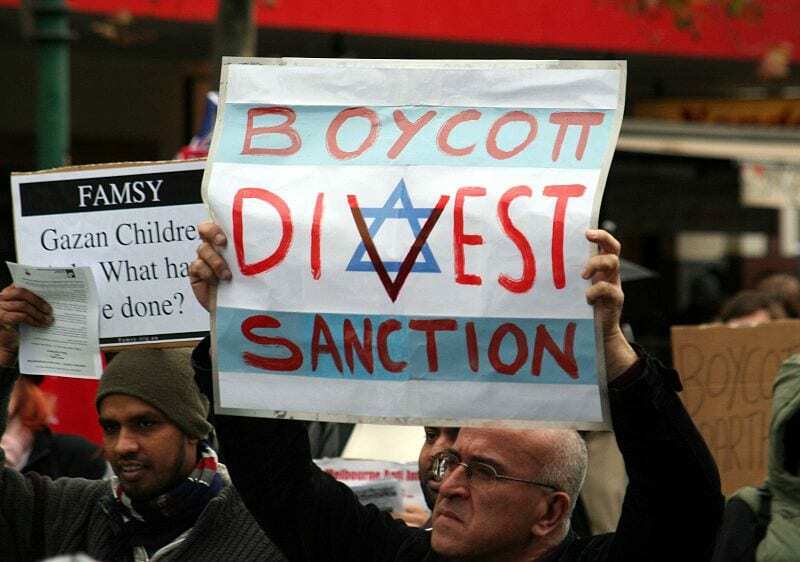 There is the boycott, then there is the divestment, and then there is sanctions. A boycott, of course, is on the one hand if you are talking economically, refusing to buy certain Israeli products. For some people the boycott means refusing to buy products that were made in settlements, so made in the Occupied Territories but in Jewish settlements or Jewish run-businesses. That seems like a great idea and almost every liberal person supports that because most people admit that the occupation is illegal under international law. The problem is, is that the Occupied Territories have become so integrated into Israel that it is more or less impossible to differentiate or separate companies that do business in the occupied territories and Israeli settlements with the larger Israeli economy, and that of course has been precisely the goal of the occupation and the settlement enterprise. So because of that, the BDS movement has more or less targeted all Israeli products for boycott on the argument that the entire Israeli political, economic, and cultural system is involved in the occupation therefore you really can’t make a distinction between the West Bank settlements and Israel proper. So that is the economic boycott. But the boycott also goes for artists and academics which are the two other components. One is to get artists to stop performing in Israel except under very limited circumstances, and that would be circumstances where the locations they are playing are what would be called BDS-compliant, in other words they are locations which are either owned by Palestinians, Palestinian-Israelis, or somehow completely separated from the larger Israeli culture system. And then on the academic side it is to refuse any collaboration or cooperation or taking money from any Israeli academic institution that are complicit with the occupation. And unfortunately, in Israel almost every major academic institution is complicit in the occupation. They give special considerations and scholarships to soldiers, and they give wholehearted support to the military even when it is engaged in massive invasions and violations of human rights of Palestinians. So it is not an individual boycott but it is a refusal to collaborate with Israeli institutions and in some cases depending on what institution you are talking about on the Palestinian side there is also a determination that they will not work with Israelis in any way that would normalise Israeli-Palestinian collaboration. They spent a decade doing that in the 80s and 90s on the assumption it would help change Israeli perceptions and lead to peace, and in fact it did none of those things and even as they were engaging in people to people interactions, Israel was deepening its settlements in the occupied territories. So that is the boycott aspect. Then you have divestment which is to refuse to invest or do business with corporations that support the occupation. Some of the most famous ones being Hewlett Packard computers which has sold a lot of equipment to the Israeli security services and military, Caterpillar which deigns bulldozers which are used in home demolitions and things like that, and also refuse to divest from stocks and other securities or bonds that support the occupation in any way. And then sanctions is to obviously push for the world community at various levels from national governments to NGOs to international courts to the UN to sanction Israel and to punish it for the occupation. Lets turn to the cultural boycott aspect and in particular in relation to music and musicians and encouraging musicians not to perform in Israel. How effective has this been? It is really hard to know. I think it depends on what you mean by effective. I have been working with Palestinian and Israeli musicians for twenty-five years, so I have been doing this since well before anyone thought of a boycott in that sense. And I think no one who supports the boycott would say ‘Oh my god, it is a huge success in terms of stopping musicians from performing’. The majority of musicians probably still perform and for every person like Lorde who is aware and is as absolutely courageous as she is there are twenty people who either don’t care, are too ignorant, or even if they might care, their management and labels and advisors don’t want them anywhere near the boycott movement. Not just because it is Israel, because it is not just about Israel, most people in the record industry care about money and even if the artist wants to do the right thing they are so shielded that they don’t even get anywhere near this argument because their management teams keep them away from it. And I have seen this not just in Israel, in Morocco, some of the most famous artists in the world go to Morocco to perform even when the Moroccan government is engaged in serious crackdowns, jailing artists and things that should raise the eye of any musician. Some of the most famous musicians in the world have been in Morocco performing and refused to even say a word about it. So again, it is not just Israel, this is a global problem of musicians not supporting their own and even more so not taking a stand for human rights if it interferes with their bottom line. On the other hand, what the boycott has done, and this was clearly the overall goal is force the issue to constantly be discussed of really what is happening there. And if that is all it does, even if you know only one out of fifty artists who are pressed to boycott actually boycott, the fact is that each time it forces into the public consciousness debate over the occupation and that is a really big success given the stakes involved and how powerful the Israeli propaganda machine is to change the subject or suppress any kind of critical discussions of Israeli policies. What can be done to convince more musicians not to perform in Israel? This is really like the Civil Rights movement in the US. It takes decades, first of all, to build a consensus among artists and among the world community that the people who are the objects of the oppression are actually fully human and have the same rights as everyone else and that their rights are being violated. Because most people don’t want to admit that because then they have to admit their own implication in the violation. So the single most important thing is education. And I think when you think about a band like Radiohead who theoretically are a progressive band, supposedly nice people, and yet when they were pressed not to play in Tel Aviv [they] came out with stuff that was as about as factually challenged as the average day for Donald Trump. When a band like Radiohead can show itself to be that ignorant, the amount of work you have to do is immense. And the other issue is, and this is where BDS folks have to do a better job and develop the discourse more, is that musicians today more than ever make their living from touring. And if you tell a musician they can’t go to countries to play that oppress people then of course they can’t go to Russia, they can’t go to China, they can’t go to half of Africa, they can’t go to the US. So in that sense most musicians say ‘I can’t even go there because if I start with Israel, where am I going to end and I am going to basically have to give up my career’. So if we are going to answer that we need to do a much better job at articulating why the Palestinian case is in a way unique. And it is unique not in that Palestinians suffer uniquely, which is certainly not the case – there are people who suffer even more, like in Yemen or other places – it is the case that Palestinian civil society decided after years of debates and arguments and thinking this through and trying every other way possible that BDS is the best way the world can help them at least have a chance not to just be completely pushed aside into history the way too many indigenous people have been. And because of that, we as artists have a special responsibility to take that request seriously, whereas other places where there is a lot of oppression and even more oppression perhaps, you haven’t had artists and civil society there make that same request for many reasons. And if they did we would have to respect that too. The good news is that now you have people within Palestine and Israel who are starting to figure out more ways that people can come to Israel and play, but play at alternative venues that don’t support the occupation. So playing in Nazareth or places that have a far larger Palestinian population and in venues that are owned by Palestinian-Israelis, or venues that are clearly owned and worked on by activists who really are completely separate from the machinery of the occupation. So BDS is evolving too, and one could actually see in the next few years it evolving from ‘Don’t come to Israel to play at all and make money off the occupation’, [rather] ‘If you are going to come. go to these venues that actually support Palestinians in their struggle rather than supporting the occupation’. That is probably going to be more of the future of BDS than just a straight boycott. But again, as Israel becomes even more racist with the new nationality law and Palestinian citizens themselves are being marginalised more that might prove to be an impossibility as well, in which case the existing BDS will probably continue to be strengthened. 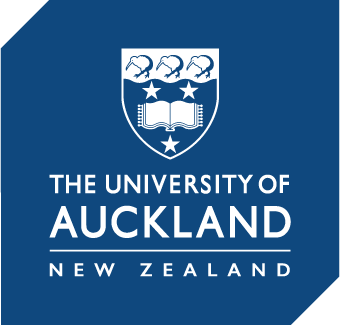 Now we have had a situation in New Zealand recently where two activists have been sued for helping to convince pop singer Lorde to pull out of her shows in Israel. What do you make of this situation? I can’t imagine the Israeli government believes they are going to collect on this. To me this is like Trump, this is basically you say and do the most inflammatory things possible because in so doing you increase the hatred, you increase the vitriol, you increase the conflict because the more of that there is the easier it is for you to continue the policies you are doing. It is ludicrous. I mean, I can’t imagine the New Zealand court would ever back this Israeli thing because of course it is utterly ridiculous. But in doing that, they just continue to inflame their own supporters and keep them on edge and keep them fighting because the one thing that any government that is engaged in this level of human rights abuses systematically needs to do, this kind of dehumanisation, demonisation, the only way that continues is if you keep people constantly on edge, constantly fearful, constantly angry, and constantly fighting. So the Israeli government will do everything it can to make the price of BDS as high as possible to keep their own people inflamed. And of course, it is the goal of everyone who opposes that to keep the solidarity strong, to beat them with a kind of jujitsu rather than a direct front assault which those two young women have done and the way they have turned it into a support campaign for Gaza. I mean, it almost makes the whole thing worth it. And you know it just shows you how the struggle is going to play out in the international arena even as Israel continues to increase settlements, build new settlements, tighten its grip on the occupied territories. The struggle is going to be for activists, how do we get so caught up in defending against this kind of nonsense which then drains all the air out of the room so we don’t even have time to continue to talk about the occupation, which again is what Trump does in the US, he constantly says crazy things so all we are talking about is all the crazy things he is saying and we don’t talk about what he is actually doing. And that is clearly the tactic, it is a very old tactic. Mussolini used it, Hitler used it. We have to figure out how to both fight that and fight back without hurting ourselves by focussing too much energy on that, that we forget to discuss the ongoing and intensifying occupation. Some have accused the BDS movement of silencing musicians and censorship, what do you make of this argument? First of all, I have to say that there is no such thing as one unitary movement that everyone speaks with the same voice and no one goes off on their own. So I am sure if you look throughout the entirety of BDS supporters their might be people who say that. I have never met one but I am sure someone somewhere might exist. But by in large, and in the vast majority of cases, that’s just ludicrous. I have been involved in this for decades and I found the greatest actual collaborations between Israelis and Palestinians have been inside the BDS movement among academics, among activists, among artists and musicians, because that act of solidarity creates a strength of relations that is really… anyone who hasn’t been in an act of struggle like the anti-apartheid struggle or the anti-racism struggle really can’t understand what happens when people from the dominant society make the commitment to really work fully for the liberation of the people their country is oppressing. Once you do that, then you answer a whole different kind of relationship with those people. So I have never seen any case of that in my experience since the beginning of BDS about thirteen years ago. I see artists who are being asked to learn what is going on, no one is being told don’t come to Israel they are saying don’t come to Israel and make money at our expense and art-wash our occupation. Jello Biafra, the great punk singer [frontman for the Dead Kennedys] really epitomises this. He was going to play Israel, he hadn’t really thought it through, he was contacted by BDS, he is a man of great integrity, he thought about it and instead of just saying ‘Screw you’ or saying ‘I won’t go’, he didn’t go to perform, he went to learn instead, he travelled, he learned and then he realized that they were right. So far from being an act of censorship, BDS is an opening for discussion. And let us remember that the Israeli government only survives by censorship, it censors Palestinians every day, it censors Palestinian artists every day, it oppresses free speech by Palestinians every day, Palestinians who speak out are jailed, shot, tortured, killed every day for fifty years by the Israeli government. So when people say that the BDS movement is somehow censoring musicians, it is just ludicrous, especially in the context of an Israeli state that daily denies Palestinian artists the right to travel, denies them the right to perform, targets them, humiliates them, jails them, even kills them, that denies Palestinian students the right to go to school, the right to an education, the right to travel abroad and so on. To then say to those who oppose them are engaged in censorship is Orwellian. It is just utter fabrication. Do you think in boycotting or not playing Israel musicians can help create awareness around the situation in Palestine among their fanbase who may not be aware of what is happening? There are several levels of how this would work. And again, I have to say I am not an official representative of the movement and there are a variety of opinions, but the first thing is: don’t play Israel under the present circumstances in a way that supports in any way this process, the occupation and the ongoing disenfranchisement of millions of Palestinians. Now if a musician simply does that, that is great. Bruce Springsteen for example, I don’t think he has actually ever played Israel and he has not come out and said he was supporting BDS but he has never gone and certainly given who goes to Israel the size of the artists who go such as U2, Madonna, and Radiohead, it is certain he could go there and people would be ecstatic. So the fact that he hasn’t gone there is clearly somehow tied to Israeli policies after all these years, but he just doesn’t go and that is enough for them. He doesn’t really talk about it, he just doesn’t do it, which I am sure is good enough. But other artists like Roger Waters or Brian Eno are very committed to the cause and they use it to directly educate their fans and to educate other artists. So I think there is a spectrum of people who decide not to play. I think those who are making a choice not to play should talk to their fans about it, they should educate themselves, no one should not go just because they feel pressured, they should not go because they have looked at the situation and understood the arguments and the realities and said ‘I support this because I don’t want to be supporting oppression’. But I do think even though Palestinians have a particular claim to BDS because it has become a national strategy, I think artists should think a lot more carefully about where they play and how they play and who their playing benefits. So I think BDS is not the end of the story, I think it is the beginning of the story of artists taking a much more active role in using their art in socially and politically responsible ways that further the single most important function of art in society which is to help lead to greater solidarity, greater awareness, and greater freedom. I think in that sense people who want to embrace BDS shouldn’t be scared and they shouldn’t just limit it to Palestine, they should really think about how they as artists can function in a world where artists more than ever today have an outside social role and more than ever are being used by governments all over the world as a way of co-opting and naturalising policies which have no business being naturalised. Moving forward into the future, where to next for the BDS movement? First of all, I should say again I am not a representative for the movement so I am just looking at it as someone who has been involved in my own work since the beginning. I think obviously each of the three components have its own course or courses to take. So, the boycott movement, the academic, and the cultural boycott, each will progress in its own way because the conditions under which both artists and academics operate inside Israel is not identical. So as that changes you will see the movement respond and you will see artists adapt. Divestments, I think that will continue to try to build up the momentum. We have seen in the US and Europe churches and unions divest from owning Israeli stocks and stocks in companies that support the occupation so that is going to slowly grow over time. And then the sanctions movement is the most difficult one because as long as the existing system of international law is in place through the UN and you have a Security Council where the US has a veto basically it is almost impossible to sanction Israel in any major way. So that is going to be the most difficult. There was an attempt to use Europe as an alternative to the international arena but it is pretty clear that the EU doesn’t have any stomach to punish Israel in any meaningful way, so the sanctions part – I don’t know how that evolves. But specifically, if we are just talking about musicians, I think as it develops and as Israel continues to become more and more a blatantly racist state against Palestinians, you are going to see more and more Israeli Jews give up on Zionism essentially as a movement and embrace a kind of democratic ideal. And as that happens, that is really going to create the tipping point where international artists are going to find it much harder to perform as usual in Israel and more Israeli artists are going to have to choose between their position as artists and as Zionists who support a racist government and an illegal occupation. And I think that tipping point which I see happening much more in academia so far than in the arts, but it is happening more and more and at some point, in the next ten years or so if nothing changes, you will probably reach that tipping point where the majority of Israeli artists are no longer Zionists because they can’t be artists and be racists. And when that happens I think you will see a real change in the way the cultural boycott movement works. You will also see more Palestinian institutions developing who can offer alternatives. So I think you are really going to see an evolution over the next decade or generation because the occupation shows no sign of ending, and if it is going to continue attempts to resist it are going to continue as well.